Do you have a great business idea? Or currently running a business but don’t know how to take it to the next level? Do you want to make it unstoppable? Or do you feel overwhelmed and confused? Don’t worry it’s not your fault. We understand, we’ve been there before too. That’s why Becoming Your Best Global Leadership puts on a LIVE 2 Day event called the Entrepreneur Success Bootcamp. The purpose is to help entrepreneurs take their idea and turn it into a thriving reality. Every entrepreneur is at a different place in the entrepreneurial process. Some people are stuck in the idea generation phase. Others are well down the path and looking to grow and scale their business. 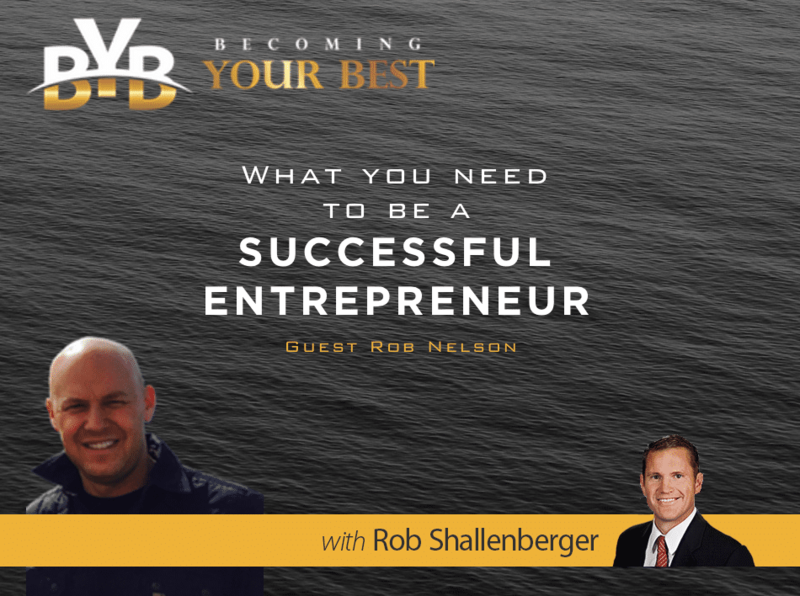 Today’s special guest is an experienced entrepreneur and successful CEO, Rob Nelson. Rob is the Founder / CEO of Grow.com. Rob is a true entrepreneur at heart. He loves the creative and building process in developing value for others. He discovered when leaders understand and unite their teams around the right metrics, the culture improves to accelerate growth. Rob is inspired by brilliant design, strong culture, competition, and the emotional connection products can give. Grow helps companies accelerate their growth by helping to track and measure the right metrics. Consequently, companies can operate faster, make better and quicker decisions. Rob is a great example of living the 12 principles of Highly Successful Leaders, particularly of CREATING A VISION and MANAGING WITH A PLAN.